Plastic bottles may not have the best reputation, especially given their effect on the environment, but here's your chance to turn a negative into a positive! 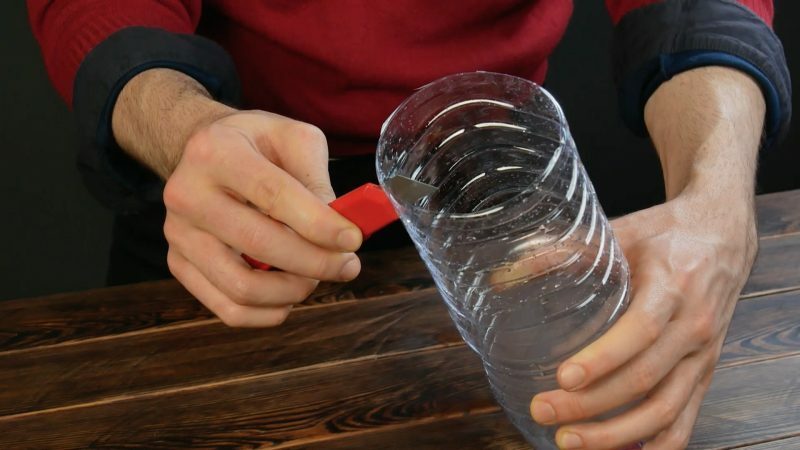 Instead of just throwing out your old bottles, you can make further use of them with these 9 handy tricks. 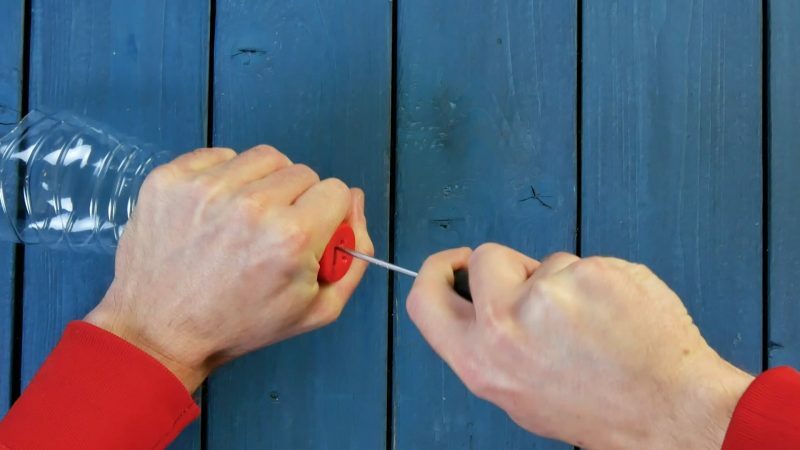 1.1 Take a bottle that is roughly the same size as your closed umbrella, cut off the bottom, and poke one hole on either side to string a cord through. 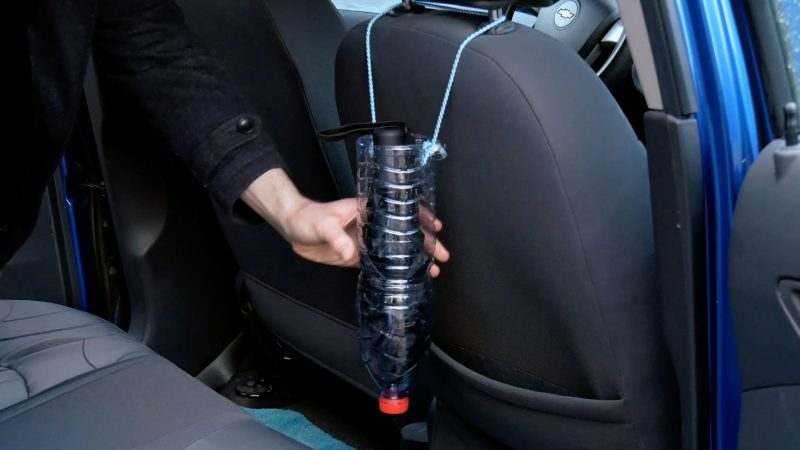 1.2 Hang the contraption around your car headrest and now you have a practical way to store your wet umbrella the next time you get caught in a downpour. 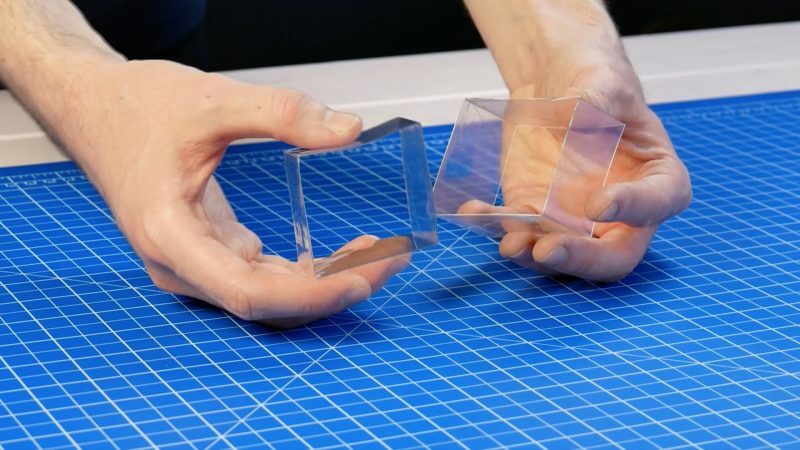 2.1 Cut a rectangle out of the bottle lid. 2.2 Cut out a large piece from the balloon and tape it over the hole in the lid (only on 3 sides). 2.3 Put the lid back on the bottle and tape around it. 2.4 Cut a small hole in the side of the bottle. 2.5 Put a balloon over the bottle lid. 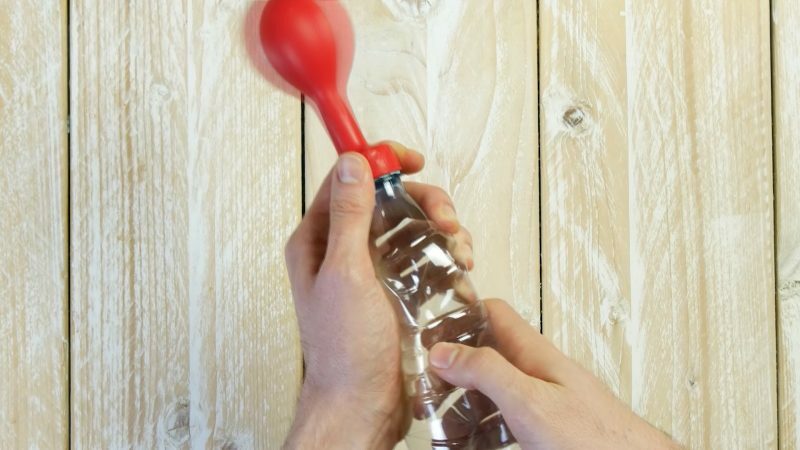 To inflate the ballon, cover the side hole with your thumb and pump the bottle. 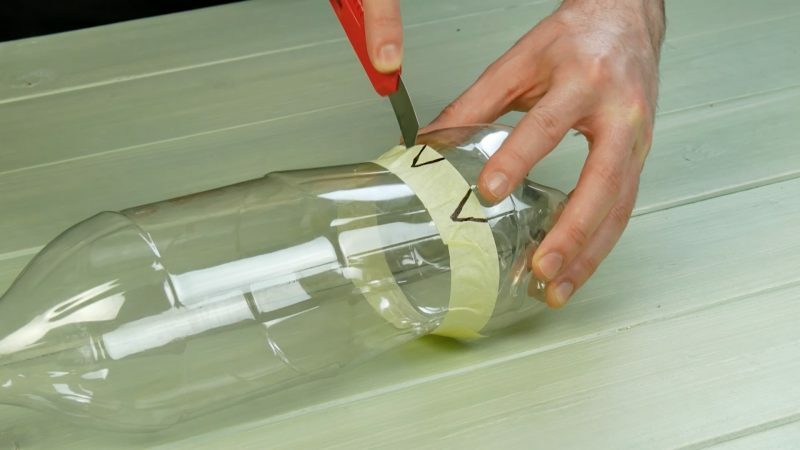 3.1 Wrap tape down around the bottom portion of the bottle and draw two triangles on it as shown. 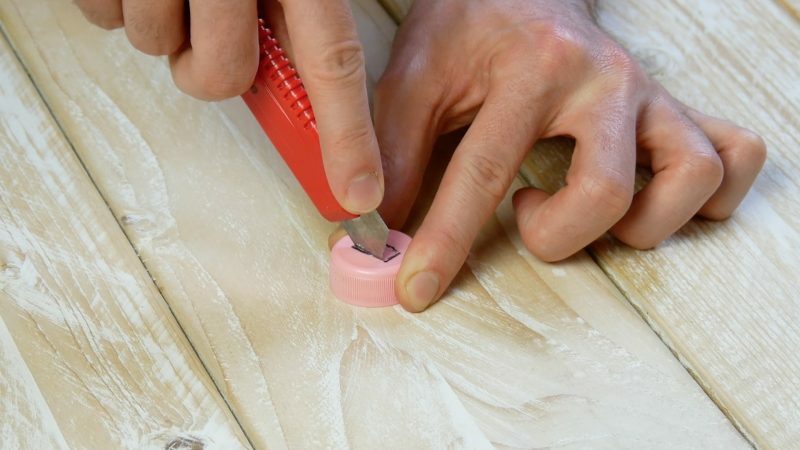 Cut off the bottom of the bottle along the edge of the tape and around the two triangles. 3.2 Spray paint the cut-out plastic piece and draw a cat's face on it (or any other animal you like). 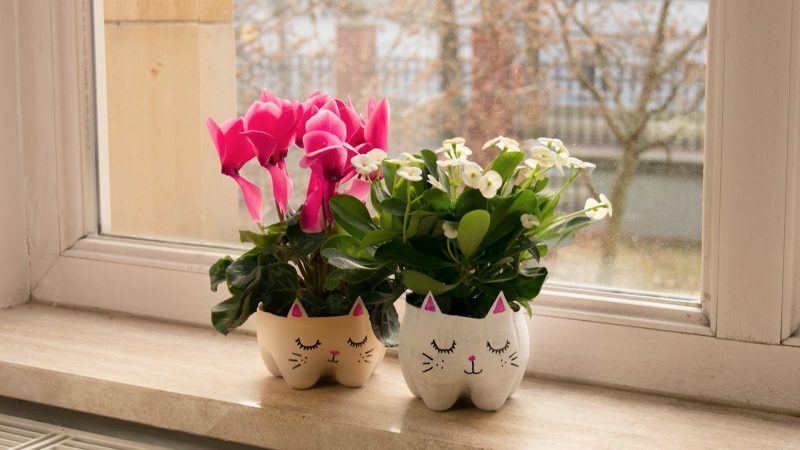 Now you'll have adorably customized flower pots for your home. 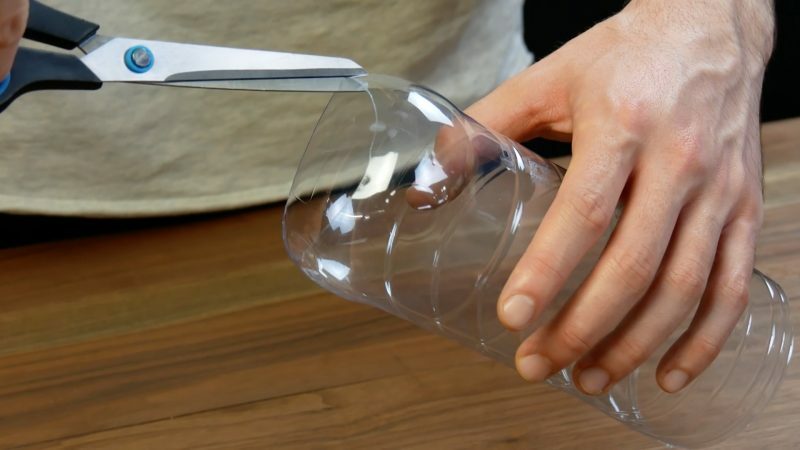 Cut a 16 oz bottle in half and hold the top half to the back of a compact hair dryer. Turn the blow dryer on to the highest level and you can use it as a mini vacuum or dustbuster. 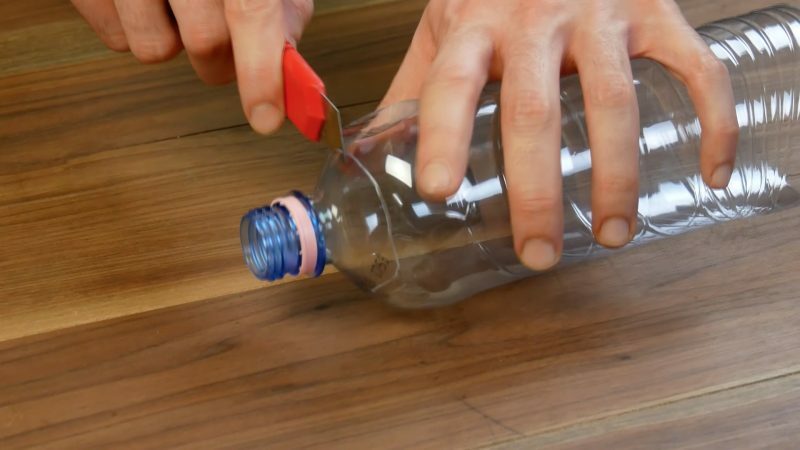 5.1 Cut off the top part of a bottle and set aside. Cut off a piece from the middle of the bottle and discard. 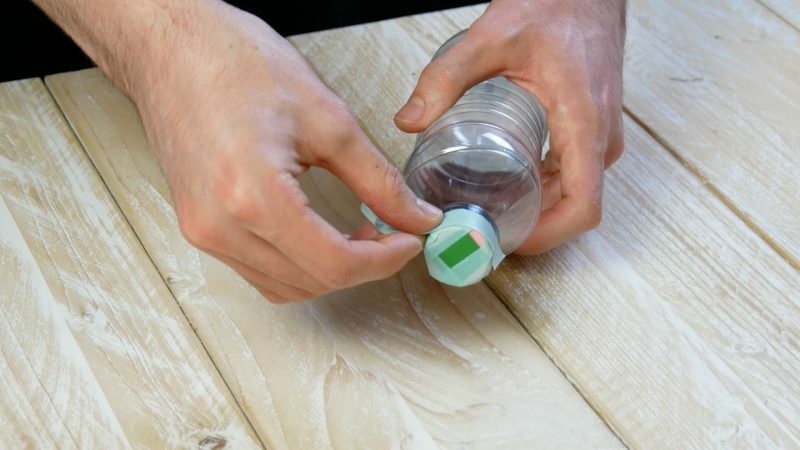 5.2 Turn the upper piece of the bottle upside down and stick it in the lower piece of the bottle. 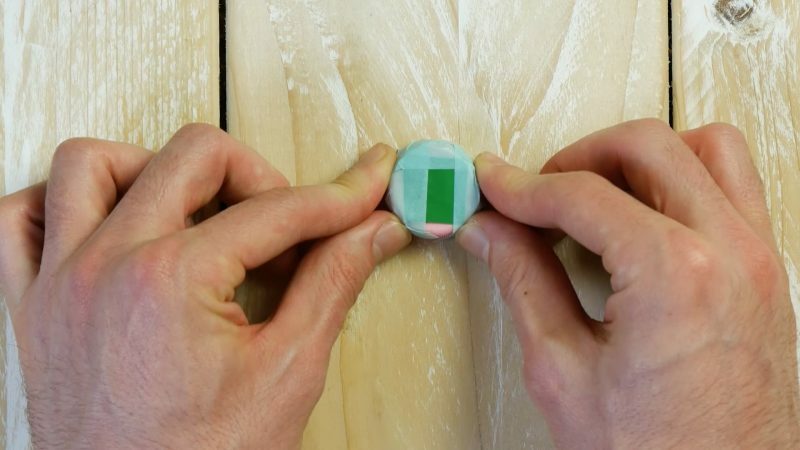 Now you can keep your kitchen sponge nice and clean without having to worry that it's touching a dirty surface and dripping all over the place. 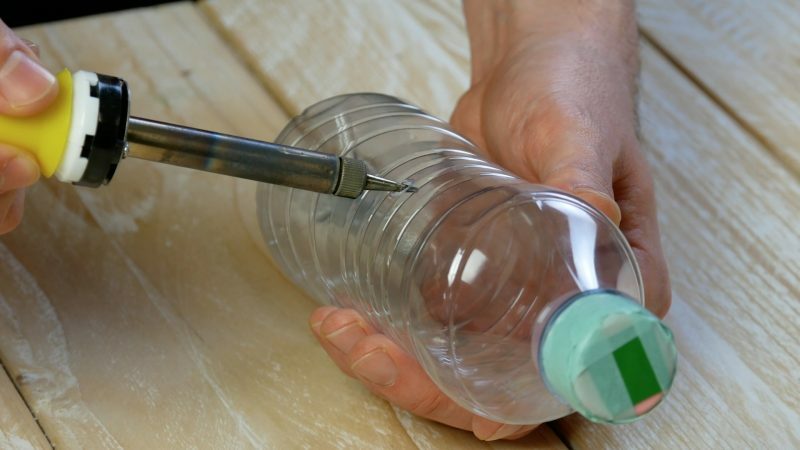 6.1 Cut off the bottom portion of the bottle and drill four holes in the lid. 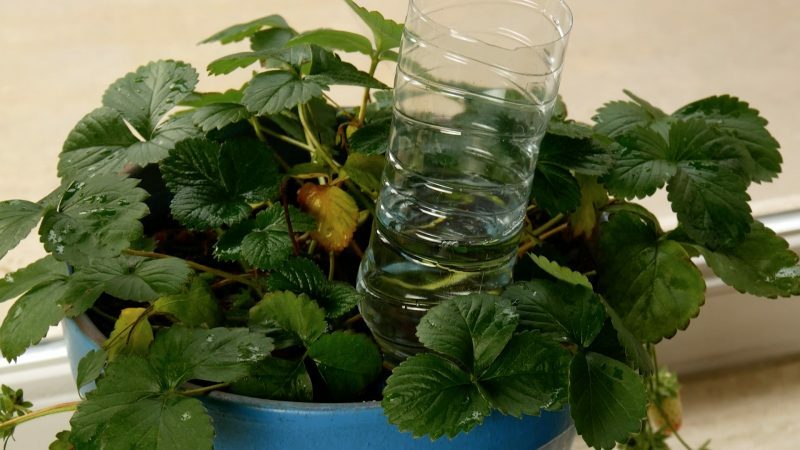 6.2 Turn the bottle upside down, stick it directly in the soil in a flower pot, and fill it with water. 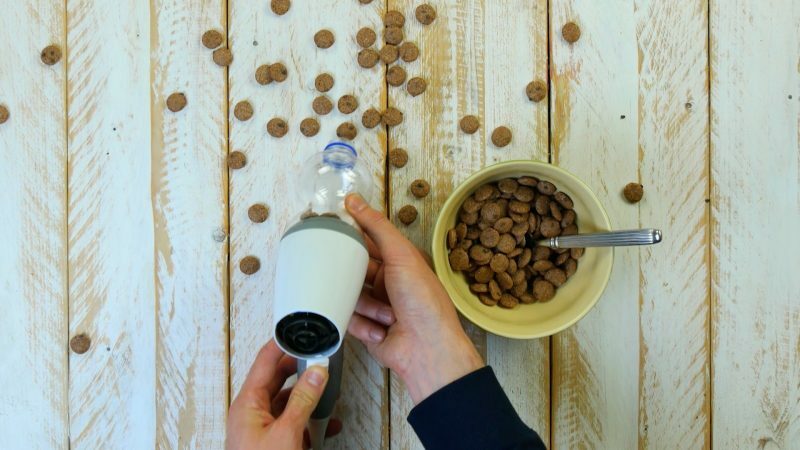 This automatic water dispenser will take care of the rest so you no longer have to worry about your plants dying while you're away on vacation. 7.1 Cut off the lower third of the larger bottle. Cut a cross on both sides of each bottle. 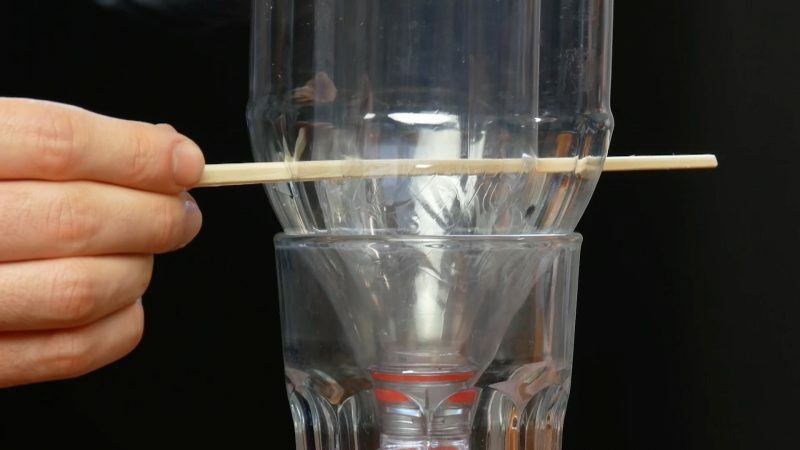 7.2 Place the small bottle upside down in the big one and push the wooden skewers through the holes. 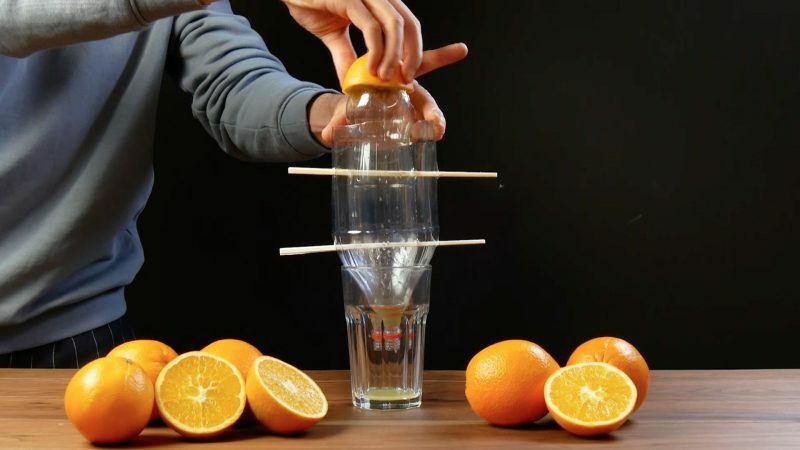 7.3 Place the contraption upside down in a glass and your personal juicer is ready to go! 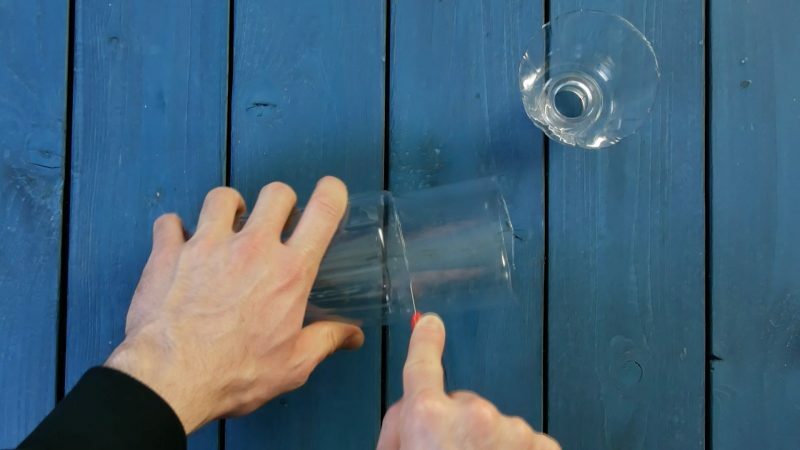 8.1 For this DIY craft, you'll need a longer, thinner bottle that can hold your paper cups. 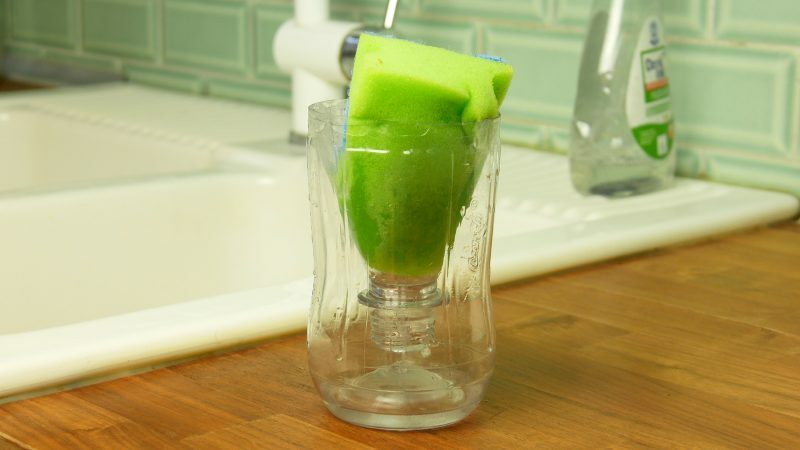 Once you have found the right one, cut off the top and bottom of the bottle. 8.2 Cut two slits in the upper portion so that the cups will be easier to remove. 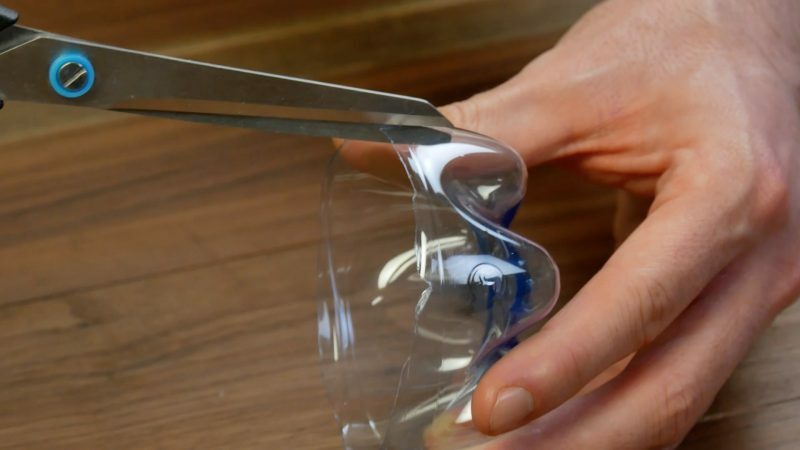 8.3 Cut a slit in the bottom piece so that the plastic is a bit more flexible. 8.4 Push a stack of paper cups through the opening in the bottom of the bottle and place the cut-off bottom piece on top of the bottle. 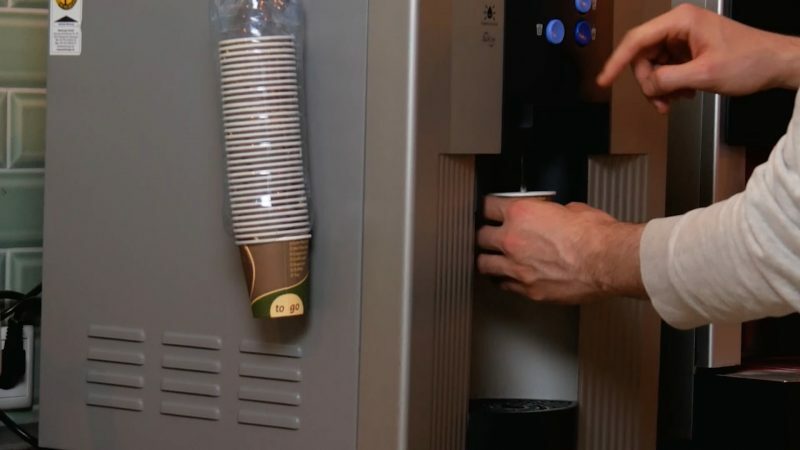 Now all you have to do is fix your DIY cup dispenser in place. 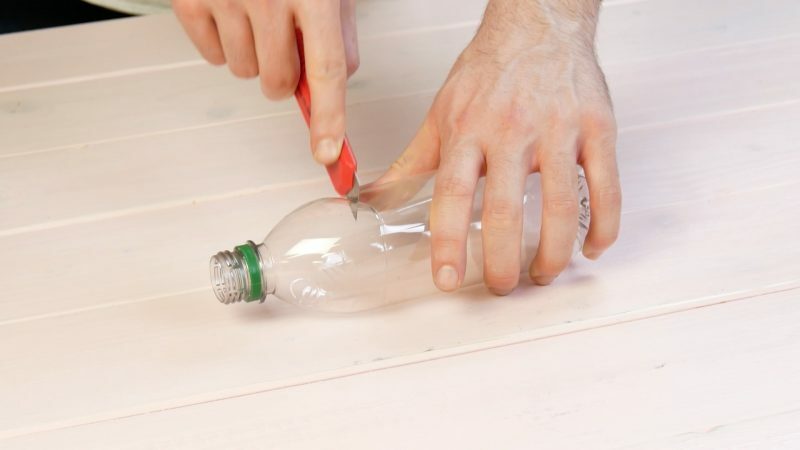 9.1 Cut the top and bottom off two small plastic bottles. 9.2 Fold the middle bottle parts into cubes. 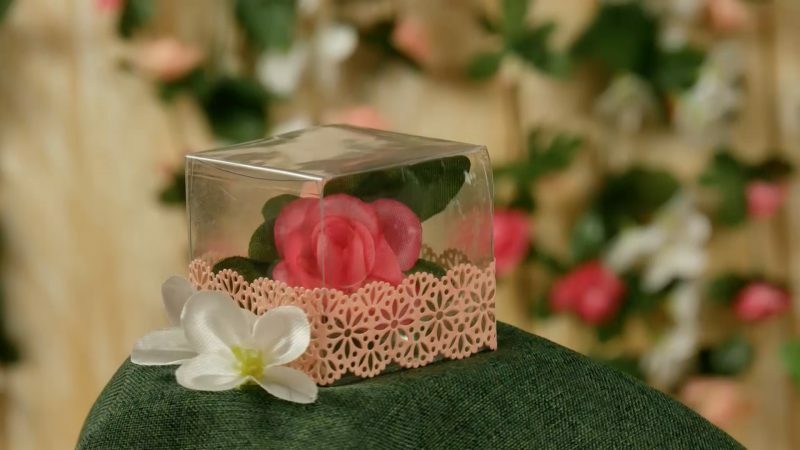 9.3 Stick the two cubes into each other and decorate the end result. 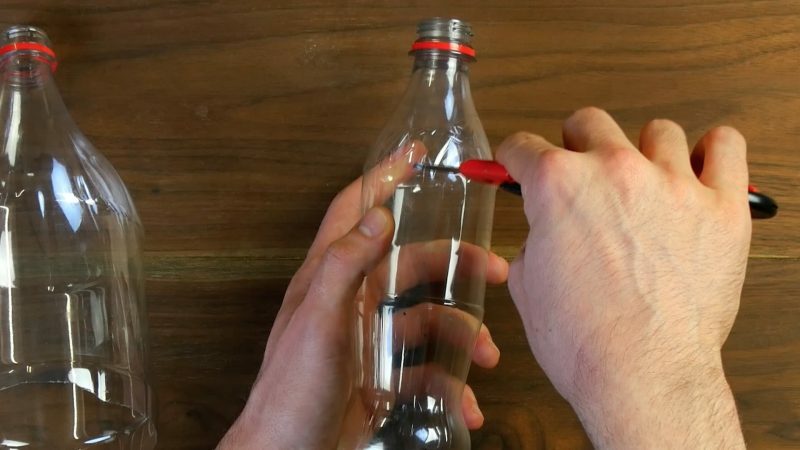 If you're looking for more clever ideas on what you can do with your leftover plastic bottles, be sure to check out these 5 Bottle Tricks To Make Recycling A Ton Of Fun.